Over the past few weeks the girls of the 1st Sparks and the 54th Brownies have used the mini golfing facilities at Eaglequest Golf in Coquitlam. The groups weren’t there on the same night, but both were lucky to have great weather and had a good time. The Sparks went first in early March. It’s definitely one of those “dress for the weather” kind of activities. It was chilly outside and the course was pretty dark by the time they were done, but the girls had a blast. For many this was their first time playing mini golf, but nevertheless there were some skilled golfers on the course! A couple of weeks later the Brownies hit the course. They had the advantage of daylight savings time and enjoyed a beautiful sunset through most of their game. The Brownies played a little more competitively (they actually kept score!) and also had a great time. A special shout out goes to out to Guider Rosalinde, who is doing a year abroad at SFU from the UK where she is involved in Guiding at home. Rosalinde (affectionately known as Roz) has been working weekly with the 1st Sparks but she has also lent her time to other units including the 54th Brownies, the 12th Rangers, and the 2nd WCA Trex. 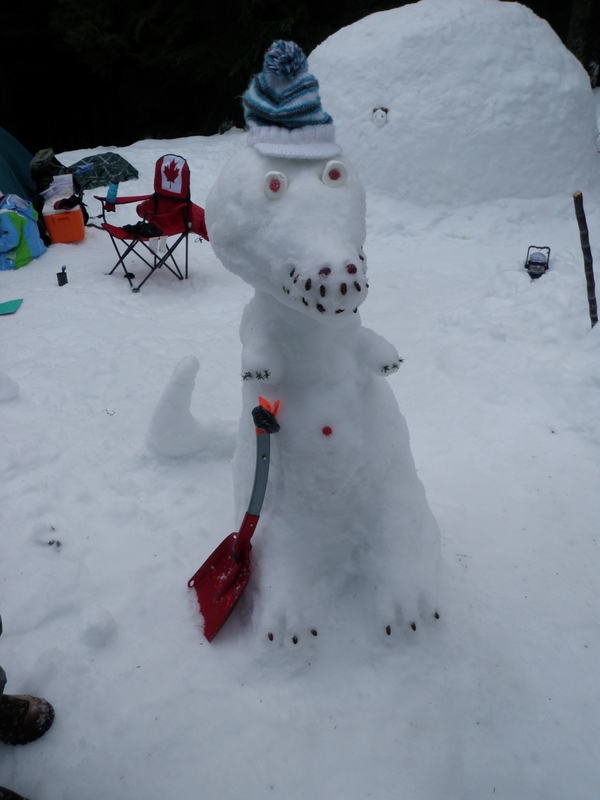 The 2nd WCA Trex, also known as the Tyrannosaurus Trex, invited Guider Rosalinde, an SFU student visiting us from the U.K., to a snow camp on Mt. Seymour. We were the only group that managed to complete our igloo. Roz’s determination kept us working until after 11:00pm on Friday night. This hard work paid off. Everyone had an opportunity to sleep in the igloo. We were cozy and dry. 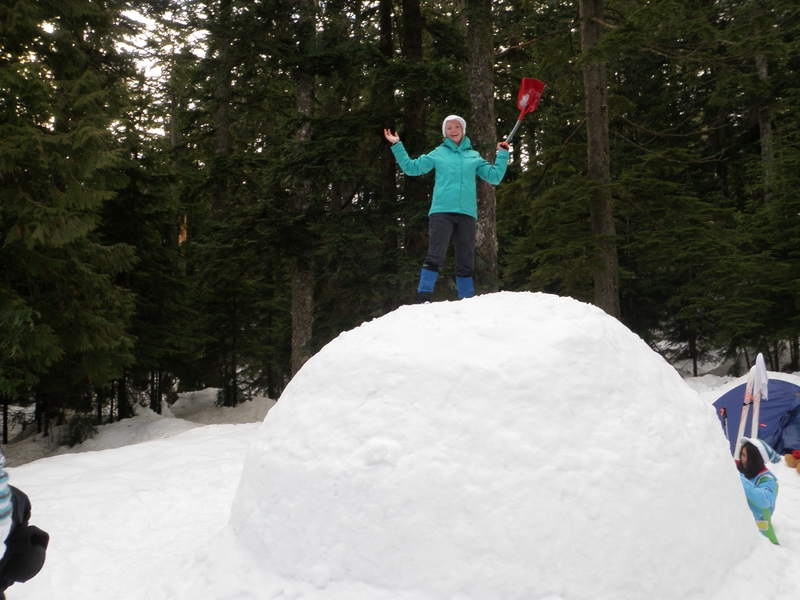 The igloo took eight hours to build. One must slither like a seal to enter and exit the igloo as the floor is higher than the tunnel entrance. Many thanks to Lougheed Area and Adele Cooshek for organizing and inviting us to this well run camp. Camping in the snow was a blast! You might be aware that Girl Guides of Canada offers scholarships, bursaries, and awards to its members. It is also important to remember that these awards are not only available at the national level, but also at the provincial and area level. West Coast Area offers bursaries and awards to both girl and adult members — you don’t have to be in grade 12 to apply! Girls are young as Brownies may be eligible for some of these awards. Check out the youth awards flyer for Education Bursaries, Music Scholarships, and Performing Arts Scholarships here. Information about additional West Coast Area awards including scholarships for girls in grade 12 and for adult members, see the Area awards page here. Many awards have deadlines in March and April so apply soon so as not to miss out. 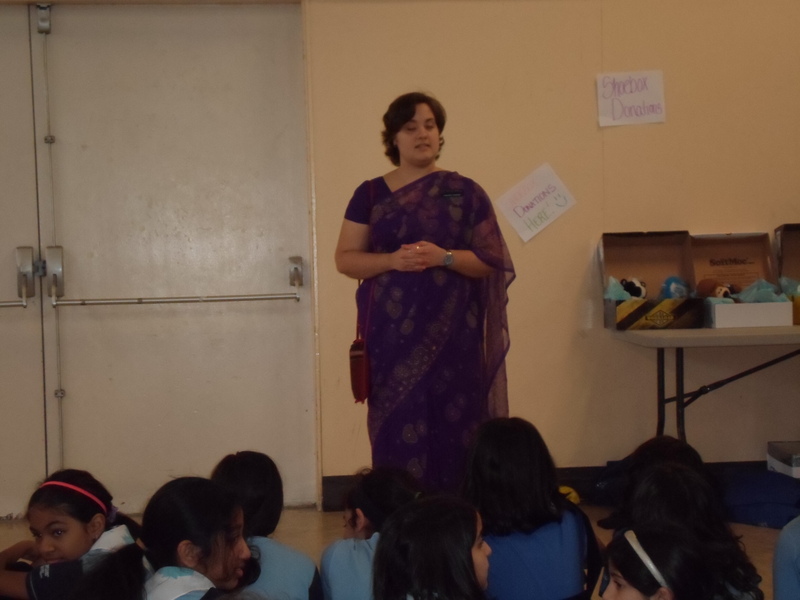 We finally got a chance to sit down and talk to Chelsea, a Guider with the 1st Sparks and 54th Brownies about the time she spent as a volunteer at the World Centre Sangam, in Pune, India, last fall. She has been touring many local units to share her story, and here she has answered some questions and shared some pictures. Can you tell us about your programme? What did a typical day look like? The progamme was 12 weeks (Aug. 25 – Nov. 11). There were four others who did the 12 week programme as well. 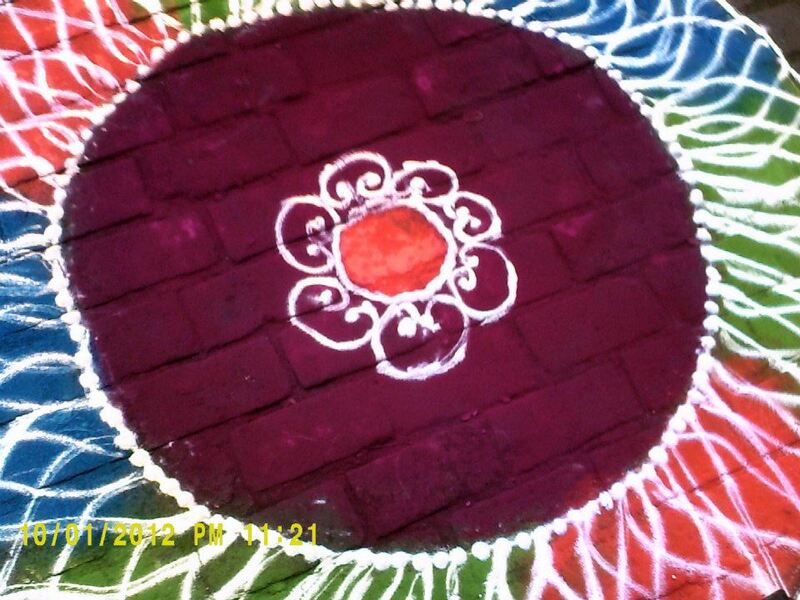 We were called “Tare”, meaning star in Hindi. The first two weeks was orientation so we were participants in an event, learning about Indian culture and learning how to get a rickshaw. The rest of the weeks we went to our community partner. I went to Door Step School four days (Monday, Tuesday, Thursday and Friday) a week from about 10:00 to 4:00. I would wake up about 7:30 and have breakfast at 8:30. 9:30 we would set out to our site. In the mornings I would hang out and lead activities for the younger children and then there was lunch at about 12:30. The children would leave at 1:00 to go home and come back at 2:00. From 2:00 to about 4:00 I would try to teach English to the older children. I would come back to Sangam at about 4:30 and have dinner at 6:30. On Wednesdays we would have cultural lessons, including Hindi class. The teachers and children knew only a very little bit of English so communication was hard! What made you decide to apply for a trip like this? I wanted to do something that would challenge myself. I also want to learn about all the cultures that I can and I wanted to live in another country. What was the application procedure like? The application process was relatively easy. You just need to find the application forms on Sangam’s website under Community Programme (http://www.sangamworldcentre.org/en/programmes/cp01) and fill them out. There’s a form that the applicant has to fill out and a reference form for their references. Send them to Sangam by the deadline and then you are all done the application. It took quite a while for Sangam to respond to me about whether or not I got through, but when I did I was so excited! 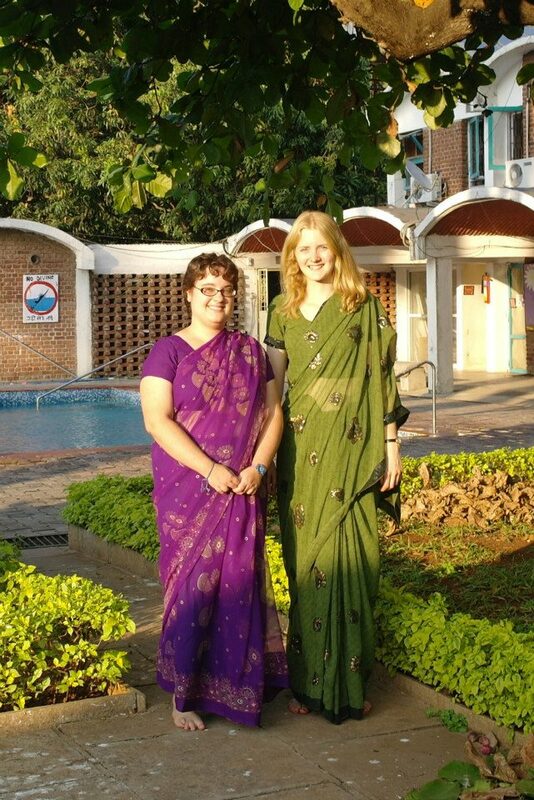 What was the best part of living/volunteering in India? The best part about living in India was the people. The kids and teachers at site were amazing. They were so happy and willing to bond with you. I got to know everyone and how special they were. It made me so happy to go to site everyday, knowing that I could be changing these children’s lives. Both me and the teachers cried when I left on the last day at site. What was the best part about staying at a world centre for so long? I got to talk to Guiding and Scouting people from all over the world and I learned so much about them. I met people from Kenya, Ireland, Denmark, England, Costa Rica, USA and Australia, just to name a few. I also met people from across Canada too so I got to learn what they did. The two other Canadians that I met were from Ontario so we talked about things like the new uniform, on-line registration and Safe Guide. It was really neat to learn that in many countries Scouts and Guides do things together so there are co-ed units and events. Do you think this experience changed you as a person, or changed the way you think about Guiding? I think this has changed me as a person. I am more aware than ever of the extreme poverty that there is in other places in the world. There are so many people in slums in India. There are even legal and illegal slums! This experience has made me appreciate all that I have, and everything that I have a right to. For many women in India even primary schooling is unattainable because people think that educating women is useless. The role that women play is that of housewife and many people do not think they need education in order to do that job. The Indian culture is totally different than in Canada. What advice do you have for other girls or women considering an international Guiding experience? I encourage everyone to go on an international Guiding trip. I have learned so much about different cultures and about myself as well. I never realized how much I could actually do. Going through things like language barriers and extreme culture shock is hard, but I managed to overcome them. 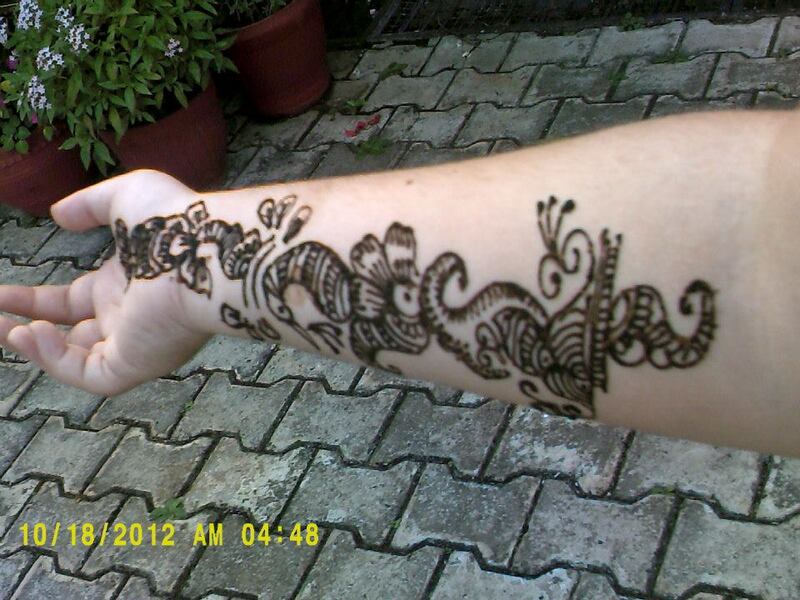 I would advise to be cautious of the culture shock though, especially if you go somewhere like India. 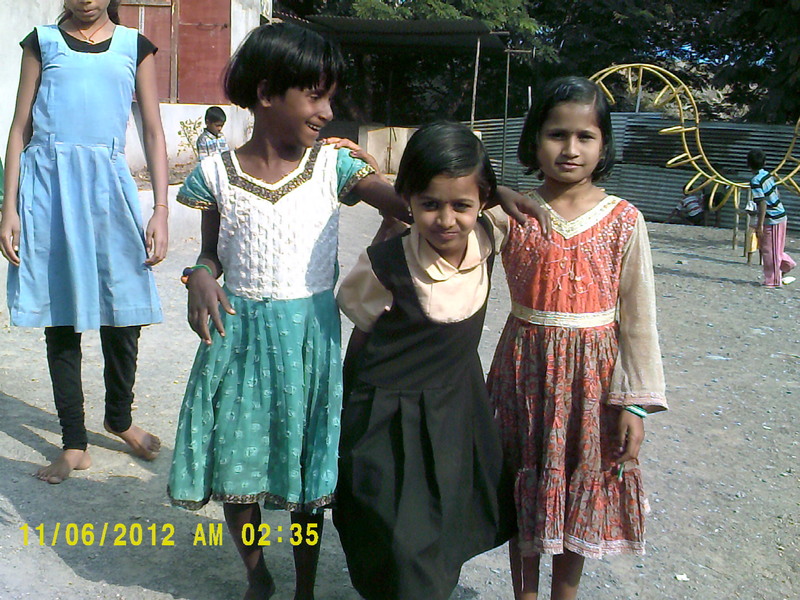 There is so much poverty and inequalities in India that you have to be mature enough to handle those issues. But like I said, I do encourage people to go out and travel. You learn so much and I had an amazing time with lifelong memories and pictures! 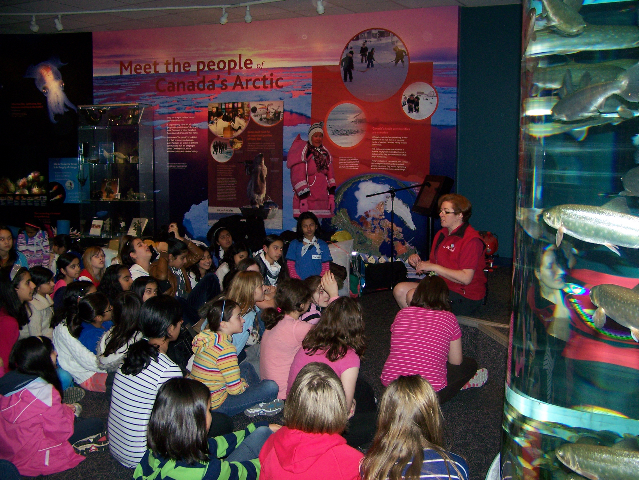 On February 23rd, Guides from our district took part in a sleepover at the Vancouver Aquarium. It was a fun and educational event for all. 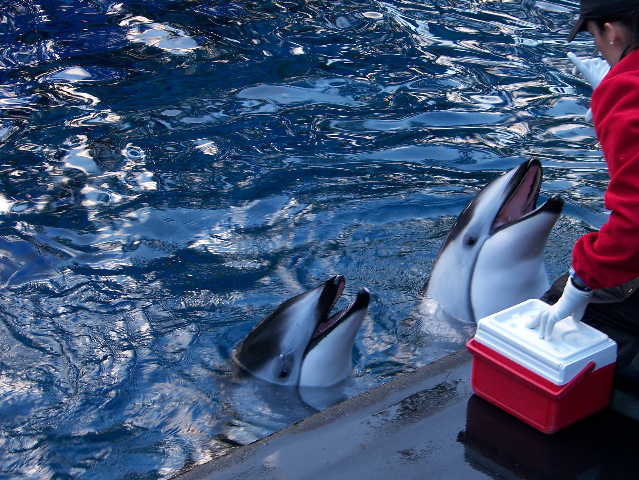 The girls got to watch demonstrations involving dolphins. They are such cute and entertaining creatures. 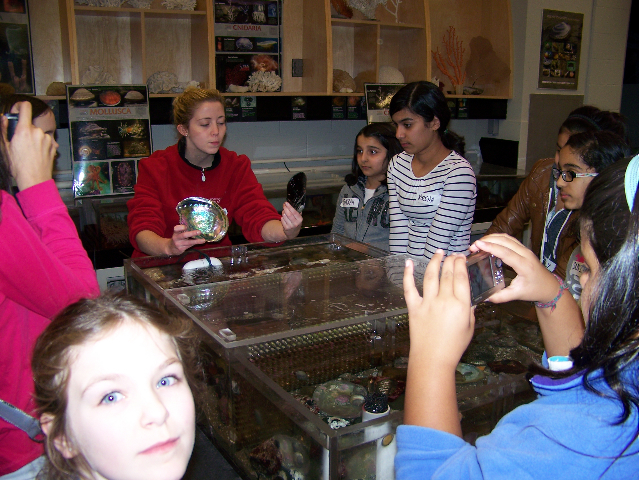 The helpful and informative aquarium staff had lots of great information to share. The girls were certainly a captive audience audience. like a blob of jello. One of the most special things about this sleepover is that the sleeping happened next to the beluga tank. It was very tranquil watching the belugas swim around in their tank during the night with the ripples of light being reflected in the water. Overall it was a memorable evening that will not be soon forgotten. The girls and leaders all had a great time. 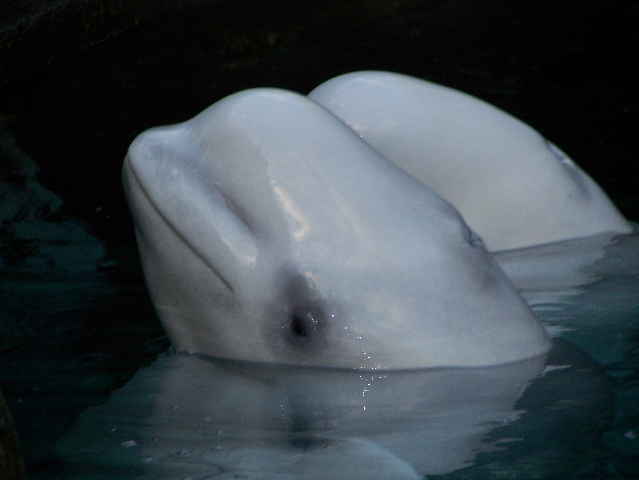 Thank you to the Vancouver Aquarium for offering such a great program.